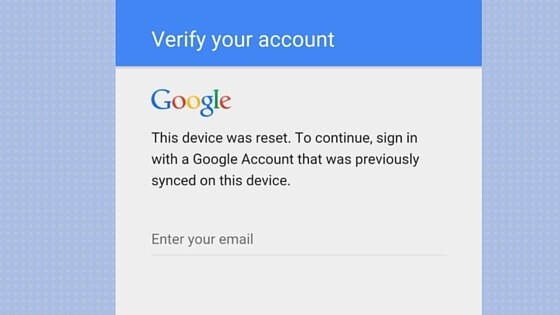 If you Have done hard reset your any Samsung mobile due to reasons such as forgot unlock pattern, phone getting hang or slowing down then, while you turn ON the mobile after doing a Hard Reset the phone gets stuck on a screen asking to enter the Gmail address that you had entered when you first started the phone! The Phone asks these things because it requires all the things to setup as they were earlier before hard reset was done. Have you lost that Gmail ID or You don’t Remember the Details Exactly?? This Type of Errors Make you more frustrated when we are Locked out Of Security and you can’t use your Device Due to The FRP Lock issue. What is FRP in Samsung Devices? In case You Don’t know about FRP then, let me tell you that FRP Stands for Factory Reset Password that was implemented to the android security software system in the Android Lollipop & the other advance android versions such as marshmallow, nougat, Oreo (Upcoming) for the reason being that if your device gets stolen then, anyone just can’t wipe and hard reset your device using recovery and make it usable .Afterwards, Most of the Companies have included it in their security programs due to its widespread advantages. 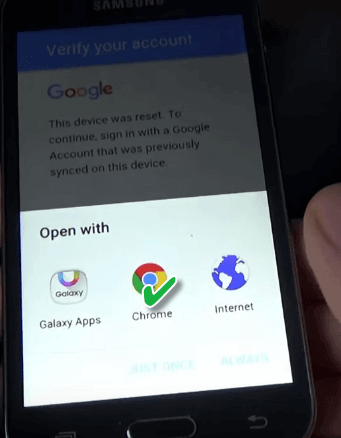 How To Remove FRP Lock From Samsung Devices? You Can Easily Bypass The Process-“Remove FRP lock Google account on Samsung mobiles” using this guide. This Guide works Perfectly on All Samsung Devices and You Can Try It on any Samsung Phone In which You are Getting the Above Error. SBoot Files Are the Default System Files In the Firmware of Your Samsung Mobile. Step 1: For this, First of All You Have to Download the Samsung Flash Files. Step 2: It will Be a Zip File. Now, Open the File Using WinRAR Achiever. Step 3: Drag the bin File To Desktop Screen. Step 4: The New SBoot File Is Ready. Just Flash this File Using Odin and Reset the FRP Using Miracle or Z3X Pro. Step 1: First Of All, Hard Reset The Device by Pressing the Key Combination “Volume UP+ Power On+ Menu Key” Simultaneously. Step 3: Connect the Samsung Mobile with the Pen drive using OTG Cable. Step 4: Here, You will See a USB storage File on the Phone’s Screen. Step 5: Click on the Apk File and install it. Step 6: Go to Settings>Security>installation from unknown source and enable it. Step 7: Let the Apk File Install Successfully. Step 8: After the Installation is done, Open the App and select Backup and Reset > Factory Data Reset > Delete All. Step 9: Now, The Phone will Restart Automatically and Not ask for any Gmail Verification. Hence, you can easily reset the FRP of your Samsung Mobile Easily. The Above Method Works in 90% Cases but if it doesn’t work you can try the below method to bypass FRP Lock On Samsung Mobiles. step 1: Download and install Samsung side sync tool for pc and install it. step 2: Do Hard Reset The Phone using the Key Combination “Power + Volume UP + Menu Key”. step 3: Now, It will ask for Password of the Existing Gmail ID that was Linked to the Device Earlier. step 4: Run SideSync On PC and Connect The Phone Using USB Cable. Ensure that Both the Devices are Sharing The Same Wi-Fi Network. step 5: Now, A popup Menu will Appear in Phone. Choose “Google Chrome” Here. step 6: Unplug The Cable Now. step 7: Go to the Link https://goo.gl/wWA7u5 and download the file. step 8: Now, Open Samsung Galaxy Apps and Update it if it asks for any Update Requirement. step 9: Download ES File Explorer from Here. step 10: Open ES File Explorer and search for Google account Manager and open it. step 11: Choose Type email & password below Google Account manager. step 12: Click on Three sigh symbol on the upper right side. step 13: choose browser sign in. step 14: Click on ok and Login to your new Google account. step 15: Restart phone and Go to Settings > Backup & Reset. step 16: Click On Factory Data Reset and Delete all Data. Viola! You just Removed your existing Gmail account with your device. Now, No Gmail account is linked to your Samsung Phone and you can link any new account with it. You can refer to the below Video Guide If you are facing any problem in carrying out the above Process. Pro Tip: Do Remember your new Google account ID and Password for future Reference so that you don’t have to carry out this tedious process again to recover the FRP Lock On your Device. I Hope this guide helped you in removing FRP Lock Google account on your Samsung mobiles. If you guys face any problem while carrying out the above process, you can leave your feedback in the comments below and I shall try to answer all your questions as soon as possible.